Executive Director of the Molokai Land Trust, William “Butch” Haase proudly receives the Maui County MVP Award from the Hawaii Invasive Species Council. The recognition is based on the personal and professional initiatives in dealing with invasive species in 2018. 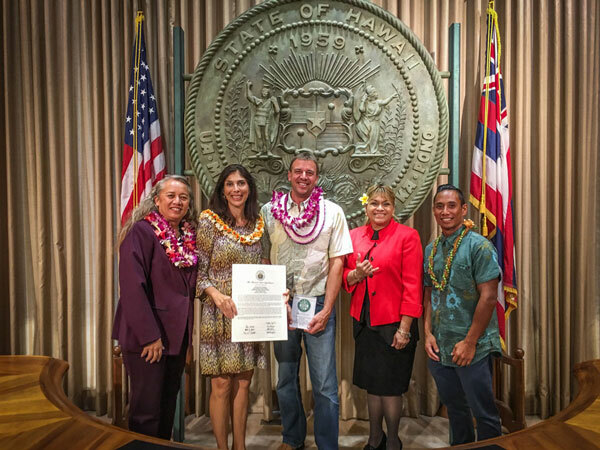 The award was be presented at the Hawaii Invasive Species Awareness Month (HISAM) awards ceremony on February 9th, 2018 at the Governor’s Chambers, 5th Floor, State Capitol Building, Honolulu, HI.